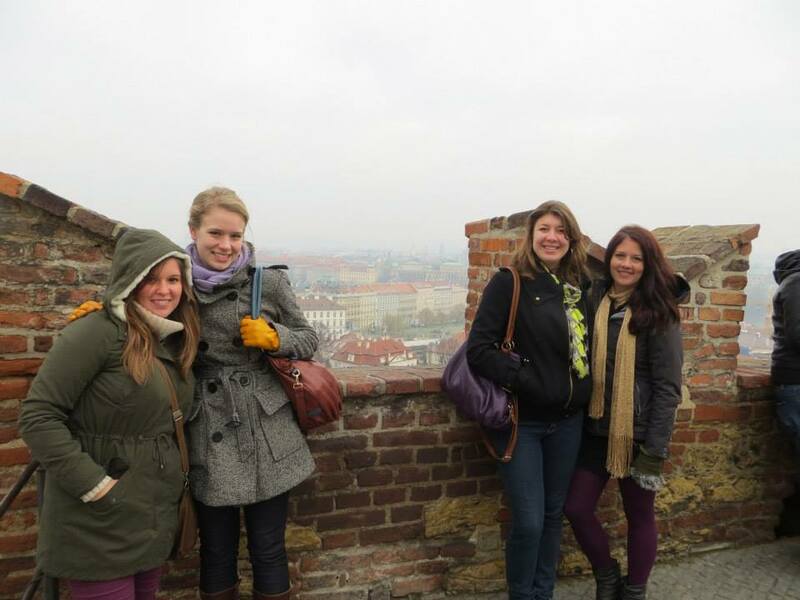 My travel crew: Danielle, Mary, and Megan! 1. Don’t expect airport security to make any sense whatsoever. The United States of America: Weapons and other items that can obviously endanger the life of another. Also, gels and liquids. Personal knives and gadgets with blunt blades are A-OK, though, cuz ‘MURRICA. Albania: Aforementioned knives/gadgets. Got my trusty Swiss army knife confiscated in the tiniest country on the Balkan peninsula and NOT in the most powerful and security-paranoid nation in the world, which I found odd. Austria: Medicinal respiratory devices. Security in Vienna interrogated me about my inhaler: “Vhat do you need zis for?” Well, I need it TO BREATHE, that’s what I need it for. Czech Republic: Simple jewelry. I have worn the same rings and earrings for over two years and they have never set any metal detector off, except for the one in Prague. It must have magical metal-detecting abilities, or the iron level in my blood was elevated from eating so much pork. My departure present was a Czech woman feeling me up as a result. 2. Vacation seems like it’s not real life, but it is. In order to avoid going insane as a Peace Corps Volunteer in Albania, one has to adopt certain mental coping mechanisms. I simply can’t stress about little things I would stress about in America or else I wouldn’t survive here. One of those things is traveling. When I lived in the States, I had horrendous (or at least what seemed horrendous at the time) travel experiences whenever I dealt with air travel to the point that airports in general give me major anxiety. So as my friends and I sat at the gate in the Tirana airport watching the clock tick 25 minutes past our boarding time, knowing that we would miss our connection in Vienna and risk losing half a day in Budapest, I let myself fall victim to the stress. I expected that because I had paid so much money for this trip, that it was a (much-needed) vacation with the purpose of taking it easy and having fun, and that I was traveling to such fancy cities in the developed world, that nothing would go wrong and I wouldn’t need the cool-as-a-cuke attitude that I relied on to get me through life in Albania. In fact, I ended up relying on it more so than ever! Traveling is stressful, whether you miss a flight or are forced to sit on the floor of a train for three hours or get sick from street food. Yes, it’s vacation, but it’s still real life. Don’t expect things to go perfectly or even smoothly. 3. Speak English…or else you’re screwed. I am infinitely grateful to be born a native English speaker, and I never really realized how lucky I am that the entire world chooses to learn my language so they can talk to clueless white people like me. I was AMAZED by how many people speak English in developed Europe, especially in Budapest and Prague, from cashiers to waiters to cab drivers. The Brazilian guy at our hostel? Speaks English. The Korean tourists in front of us at the bakery? Speaking English to the Hungarian woman taking their order. Every kind of transaction conducted at the airports? All in English. And I didn’t even have to TRY to learn this language, I was immersed in it since birth! I felt really lame because every second language I’ve learned is pretty much just a feeble list of greetings whereas so many people we interacted with on our trip had probably dedicated years of their lives to learn to speak English. 4. Act like you care about the country’s culture, history, and language. One BIG mistake I made before going on this vacation was making zero effort to study anything about the cities I was going to. For example, I didn’t know that they speak German in Austria…DUH. I’ve seen The Sound of Music AND the third Indiana Jones eight hundred times, what was I thinking?! When we arrived in Hungary, I had no clue what a forint was. And by the time we reached the Czech Republic and I realized I might look like less of an entitled foreigner if I learned some local phrases, I tried five times to learn the word for “thank you” and then immediately gave up. I was the epitome of American ignorance, and I felt terrible about it. 5. Too much of a good thing can…make you puke. When you travel, you will see delicious things everywhere. They will all taste as delicious as they look, if not more so. But please, out of consideration for yourself and the people you travel with, do NOT try to eat them all at once. Just because it is there and looks delicious does not mean you have to eat it all. 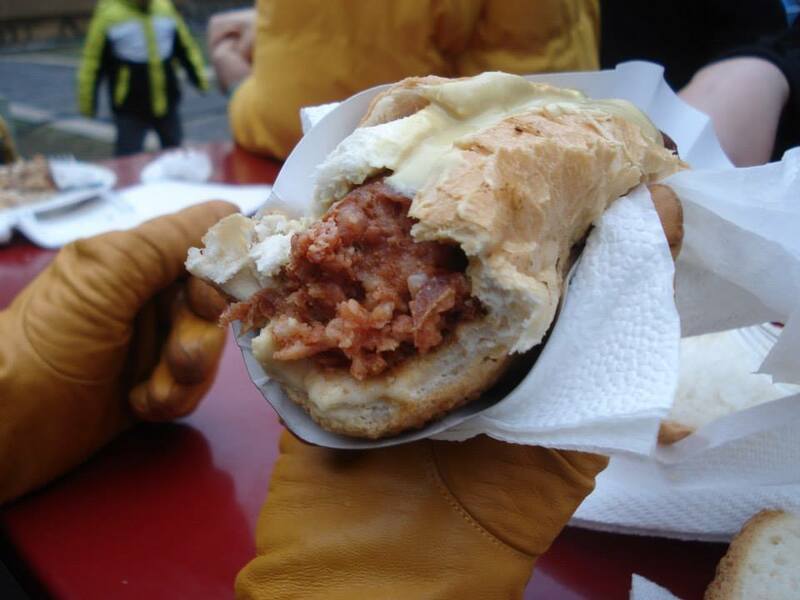 Maybe have only half of the animal fat stuffed into an intestinal lining bratwurst, and save the rest for when your voracious first-world appetite returns. Or else you will explode. Seriously though. 6. Comparison is the thief of joy. One of the finest Peace Corps lessons that can be applied to travel as well: You’re here, so you might as well make the best of it. The four of us on the trip agreed that Vienna was the most disappointing city of the three. But, did we only think that because we had seen Budapest first? 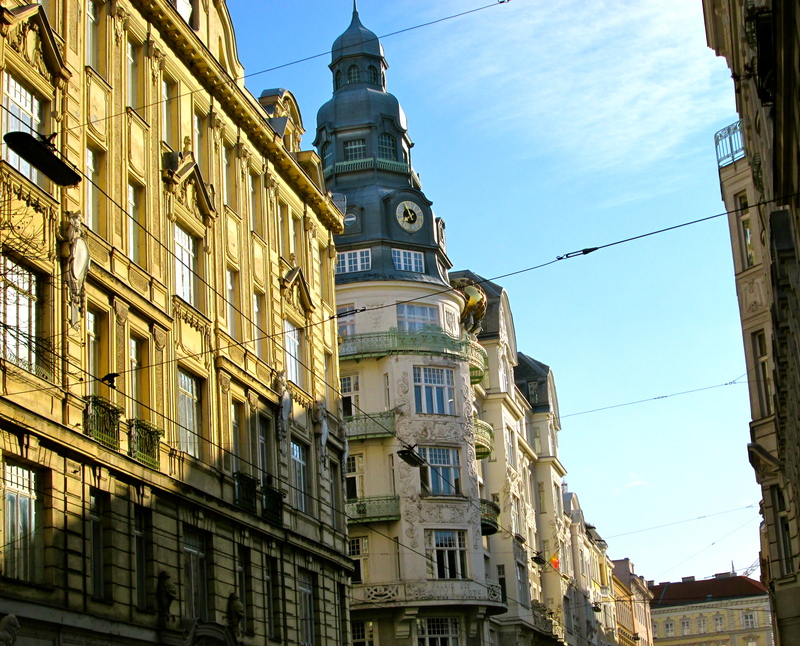 Would we have liked Vienna more if it was the first place we experienced outside Albania? I was tempted to complain about various things on the trip, comparing the atmosphere and the people and the prices of each city, and I often did until I realized that there was no point. Going hand-in-hand with #2, even on vacation there are things to like and dislike and everything is bound to be relative. No matter what, you’re here now, so you might as well enjoy it and find the things you like–and as I’ve learned in Albania, there are good things about every place in the world! We shopped ’til we dropped and strode through classy art museums and ate sweets under fancy chandeliers in Vienna, and it was marvelous. Only First-World Me could find something not to like about Vienna. On the flip side: Our first experience at a Viennese cafe unfortunately included a very rude, terse waitress. After that, it was hard to shake the opinion that Austrians were stuck-up, no matter how nice other Austrians were to us after that. That airline employee could have also determined that all Americans are douchey jerks, and I would have a hard time overcoming that prejudice too if someone spoke to me that way. The point is: don’t be a tool, in general, but especially when you’re foreign. You never know what kind of opinion people will form after interacting with you. 8. Make a plan, but never stick to it fully. My favorite thing to do when traveling is simply wandering. “Unguided exploring,” if you will. It can be convenient to have an idea of things to do or to see but I get a lot of satisfaction out of just taking things as they come and letting fate–or coincidence, or whatever you believe in–dictate what happens. In fact, my favorite day of the trip is the day I wandered aimlessly around Prague by myself, ended up meeting new friends from different parts of the world, and seeing things I wouldn’t have been interested in otherwise. The only thing that was missing was me running into a handsome Czech man, spilling his goulash all over him, and I apologize and help him clean up and then we get to talking and then we fall in love and then we get married and I get Czech citizenship and then I can live in Prague forever!!! Just like a Katherine Heigl movie. 9. Be prepared for culture shock in many forms. This probably applies more to my friends and I than anything else. As soon as we left Albania for the Vienna airport, we were instantly floored by the inflated prices and variety of foods and drinks, high standards of cleanliness, genuine luxury, and Western practices of personal space and orderly queues. It only took me a couple days to revive First-World Me that had been lying dormant since I left America. Yet it was just as shocking to return back to Albania after roaming palaces and dining with linen tablecloths and shiny flatware and perusing iconic artwork. As I re-entered Tirana, the burning piles of trash and 8-year-olds smoking and abandoned, crumbling buildings once again reminded me that there’s a reason there’s no Peace Corps program in places like Budapest. It’s taken a little longer for me to re-integrate and become Third-World Me again. But I can honestly say that I missed Albania while I was gone. I love this country, not in the same way I love Prague, but it’s home now. OMG OMG OMG I can’t even begin to tell you how much I love Prague. 10. Being a tourist is no fun at all. This is my own personal conclusion. 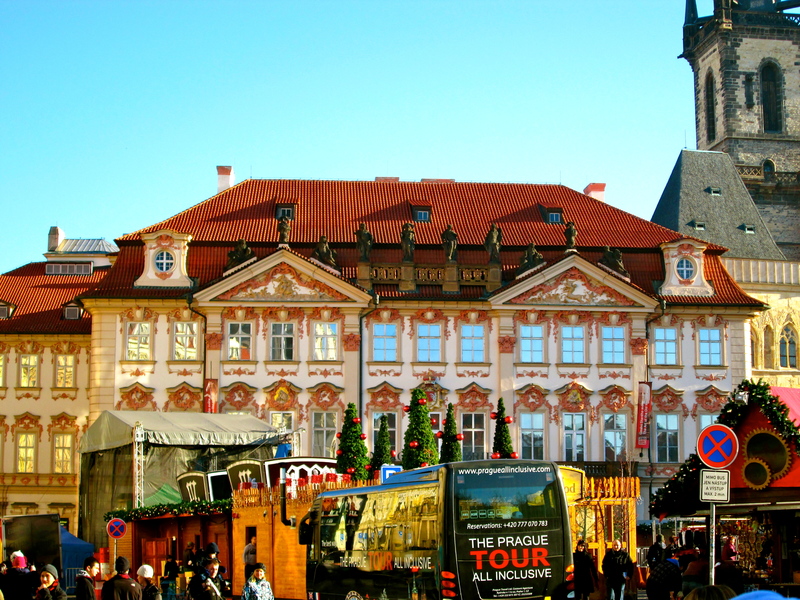 In conjunction with #4, I was disturbed by the fact that I had been to these cities but spent such a short time there, allowing myself only a glimpse of what it’s like in Hungary and Austria and the Czech Republic. I didn’t come back with the ability to speak to a Hungarian or an Austrian or a Czech person if I met one. I met new people, but didn’t establish any sort of relationships with them (except for a sweet Chinese girl I met on one of the walking tours). I couldn’t really tell you much about those places at all, because I had only visited for three or four days and seen the bare minimum that visitors usually see when they go to these cities. That’s why I love Peace Corps. When I go back to America, I’m going to seek out Albanian people and speak Shqip with them. I can tell stories about my neighbors and my co-workers and my students here. I will feel like I have a truly honest idea about what it’s like in Albania, because I will have lived here and immersed myself in the culture for two years. I’m not saying that I’m going to move to Hungary for two years (although I just might), but in the future maybe I’ll spend a month in Budapest instead of blazing through so many cities all at once. Showing up, taking pictures, and eating at fancy restaurants only gives me so much satisfaction. Among so many things I learned on this trip, one of them is that the tourist life isn’t for me. I will be a PC volunteer going to Albania on Mar 17, 2014. Hope to meet you when I get in Tirana. Love your blogs. I love your travel tips! I agree most with no. 10! I went to Vienna first and then to Budapest, and both me and my husband agreed that Budapest trumped Vienna all day, erry day. 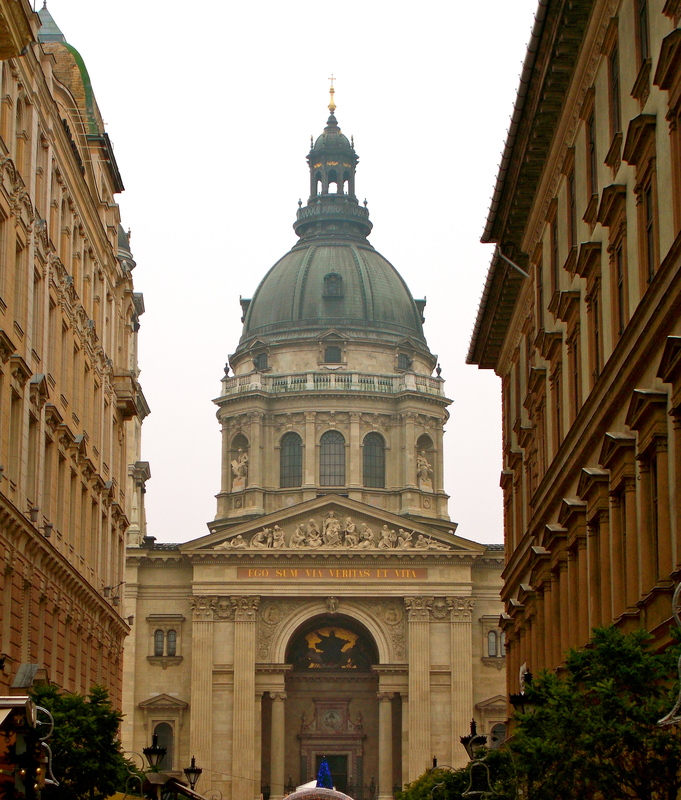 For me, Budapest felt more organic and lively than Vienna. The opulence (and expensiveness) of Vienna was difficult even for someone coming straight from ‘Murica.